After periods of wear and tear a clutch will suffer damage and it will eventually need to be repaired or replaced. This will happen in all cars, but if you can spot problem signs with the clutch early, you can save yourself a lot of money. There is also the added bonus of not breaking down unexpectedly, so take notice of your clutch’s health and act smart before this happens. A clutch that slips in a new car will most likely have suffered damage because of the driver. Habits like riding the clutch on hills can cause it to wear out quickly, so it will be wise for the driver to adjust the way they drive. In older cars the clutch will start to slip eventually and you should have this checked out as soon as possible. Slipping is normal however, when towing heavy loads, and it should return to normal when the extra load is removed. In addition to slipping, clutches can also become sticky. This can be a problem and is a sign to watch out for when caring for your clutch’s health. It could mean that the clutch cable needs replacing, the flywheel is damaged or there are oil problems with the clutch linings. Become familiar with the noises that your car makes because a change in them could mean problems. 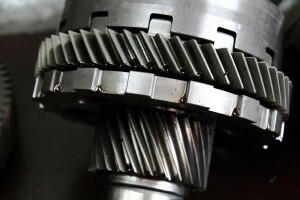 If your car starts to make strange sounds when you press the clutch it might be time to put your car in for a service or have the clutch checked out by a professional. A sudden need to push your clutch flat to the floor could be a sign of trouble. There may be problems with the hydraulics and or clutch cabling. Get this checked out early, as you may be able to repair the damage rather than needing to replace the entire clutch system at a later date. Sometimes cars just feel differently to drive. It may struggle when changing gears or lacks its usual level of performance. You may not be able to pinpoint what the actual problem is, but if you have been driving your car for a while you as the driver will most likely know if a component such as the clutch is starting to wear out. Follow your instincts and have it checked. Gearbox and Diff can check, repair and replace clutches with superior parts and workmanship. Talk to us today on 3391 8377 (Woolloongabba) or 3808 4055 (Slacks Creek). This entry was posted in Clutch by admin. Bookmark the permalink.